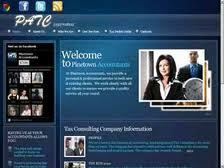 PATC, as it is known, provides a full-house accounting and tax service. They have been in the business of Accounting, Bookkeeping and Tax Consultancy for more than 20 years. Mon-Fri 9am to 5pm.